Quite. And so I’d like to offer a selection of some of the most fascinating, moving, important little worlds I’ve had the privilege of inhabiting this year. 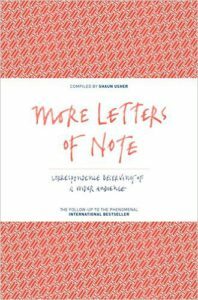 Like its Sunday Times bestselling predecessor, this gorgeous collection of letters will enrich your life. Curated by Shaun Usher, it encompasses correspondence from such personalities as Jack London and Richard Burton, Helen Keller and Albus Dumbledore. If there’s a better way to spend Boxing Day than curled by the fire in a reindeer onesie, leafing through some of the most intimate, inspiring, funny and deeply moving correspondence in history, I don’t know what it is. More, please! 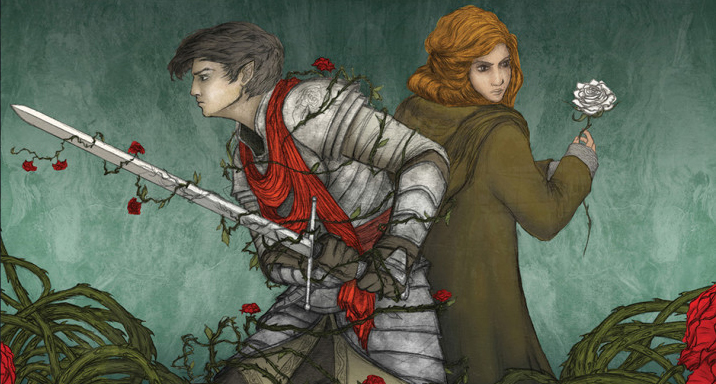 We keep talking about Kirsty Logan, but, if you don’t know this bright young thing, you need to! 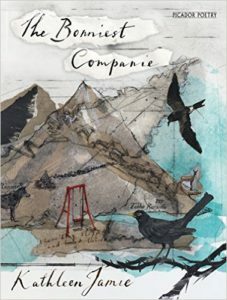 The narrative thread connecting her most recent collection of short stories reads like a lullaby, and the stories are perfectly formed little gems – rough, unflinching, beautiful and filled with hope. The limited edition is still available in good book shops, but will surely be gone soon. It’s gorgeously gift-sized, and a soon-to-be-released paperback edition means you can get a second copy for you. Think of it as all part of the gift – the person to whom you give this book will definitely want to discuss. There’s absolutely nothing I can add to this, except to say that it’s every bit as adorable and joyful as it sounds. 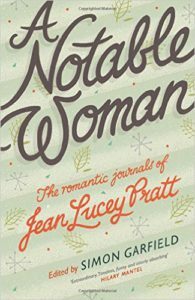 Surely destined to take her place amongst the world’s most memorable and influential diarists, Jean Lucey Pratt was a businesswoman, a bookseller, an early feminist, a wartime survivor, a lover of tennis, and an unreformed cat lady. Mostly, she was delightfully ordinary and a keen observer of life, and she’s left behind a beautifully prosaic legacy of 20th century Britain. I want to be this woman, and the good news is that, when you read these journals so artfully edited by Simon Garfield, you realise that there’s a little bit of Jean about all of us. I’ve a black thumb (or whatever appendage belongs to incorrigible plant-killers), but I hold a deep (and somewhat envious) admiration for beautiful gardens. 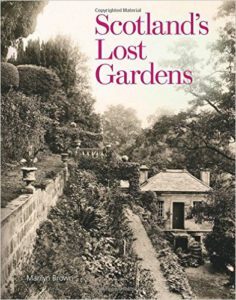 Replete with old photographs and illustrations, this is a rich cultural history of Scotland told through its gardens, and a real celebration of the transient. It’s a book fit for leafing nostalgically, as much for the sake of noting the passing beauty around you as for the beauty that has been. Named the Saltire Society’s Book of the Year, this book feels like a truly special publishing event. 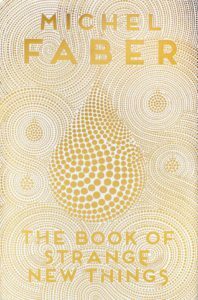 It is almost impossible to separate the writing of this book from author Michel Faber’s deeply moving relationship with his late wife, and he has achieved a poignant exploration of the enduring quality of love across space and time. With a V&A design award among its many accolades, it’s a book you definitely want on your shelf – but there’s no chance it will sit there for long. Know a young reader who devours Horrid Henry or the Diary of a Wimpy Kid? 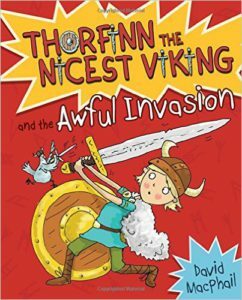 They’ll love Thorfinn. He’s an unlikely little Viking, well-mannered and rather lovely and, frankly, a little bit out of place. But he has a great big heart, and, at the end of the day, is just the guy for the job. This book is fast-paced, very funny and full of energetic illustrations from Richard Morgan. A real pleasure, and, as part of a series, a gift to keep on giving. Everybody wins with this cookbook. Social Bite trains and employs formerly homeless people to work in their cafes, and this cookbook is filled with warm, accessible recipes from its staff. 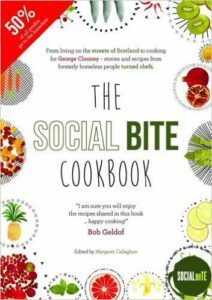 Part delicious recipe collection, part ground-breaking social enterprise, part my-new-lunchtime-staple, Social Bite is one of my favourites this year. 50% of all profits from the book go to help the homeless. At first blush, you could be forgiven for not having this at the top of your Christmas wish list. 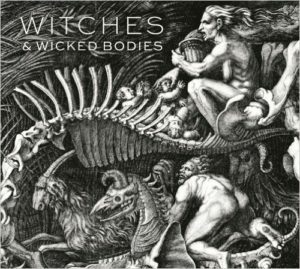 But the representation of women’s bodies could hardly be more relevant, and editor Deanna Petherbridge provides insightful commentary on the history of this representation, with women appearing in the guise of everything from dangerous crone to tempting seductress. It’s a fascinating curation that will keep you thinking. That said, I could really have chosen almost anything from the publishing catalogue of the National Galleries of Scotland, as each of their books is a highly-produced, visual pleasure, with the represented art well contextualised by experts from the field. 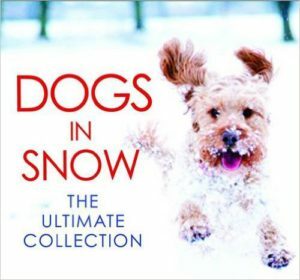 A growing series from one of the country’s best-loved nature writers, it so far includes Barn Owl, Fox, Swan and Hare. 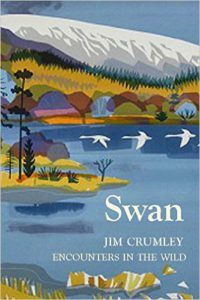 These books are quiet, reflective and focussed considerations of the British landscape, evoking the spirit of some of the most iconic species native to this land. As small, illustrated hardbacks, they’re excellent for stockings, a beautiful thing both inside and out. 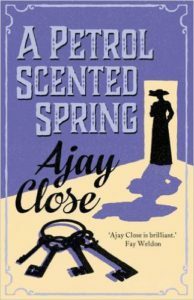 Ajay Close is a novelist of not inconsiderable talents, with taut prose, emotional intelligence and a cracking storyline. 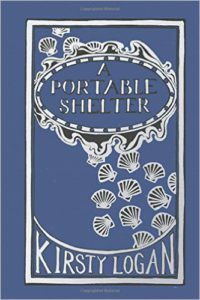 Her newest novel examines women’s struggle for emancipation during British suffrage. Think Suffragette the film, but with a more satisfying plotline and without the Meryl Streep cameo (that bit’s a shame). This is an important novel that’s a real page-turner, to boot. 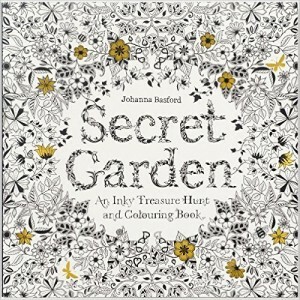 The colouring book craze is here to stay for the moment, and they really don’t come any prettier than this. The illustrations are intricate enough for simply looking, and, if you (like me) enjoy using all the coloured pencils, that same intricacy means you are definitely in for a treat. Can you please say spring / will be there soon? / It’s creeping up the mountain / as though carried on an old woman’s back. / When we’re old women / we will fetch spring too. There you are, now you understand. No doubt you’ve moved it right to the top of your list, as well. Lindsay Terrell is the Book Marketing Manager at Publishing Scotland. 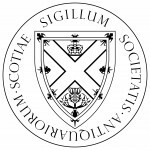 She provides marketing support for our members and their books, and manages BooksfromScotland.com, along with its associated newsletter and social media accounts. 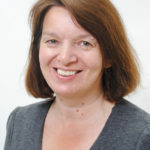 She worked at Canongate Books for five years, prior to joining the Publishing Scotland team, most recently as Marketing Executive in Canongate’s award-winning campaigns department.